It's been a couple of weeks since my last post. That first week, I was occupied with sewing and visiting my cousin in the hospital and just didn't get much reading in. Then we had company over the weekend so I scrapped writing that post. I've had a better reading week this time round. I'm happy to state that my cousin has been released from the hospital and is now home. I've continued to sew like crazy. Although I'm not close to ready to start putting all the bits together, I finally decided to assemble one block of That Quilt to motivate me to continue on. I am impressed if I do say so myself. 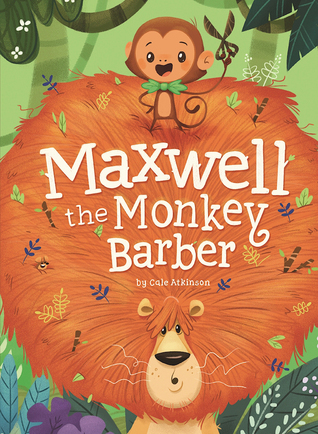 Maxwell is a cute little monkey who cuts and combs different animals hair. He's challenged when an elephant shows up, but manages to come up with a solution. Although I likes the repetitious refrain, the rhythm of the poetry didn't work for me. There is so much to love about this book. These images are remarkable. Combined with the poems, they are profoundly moving. 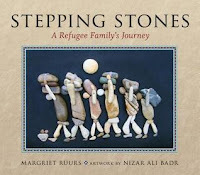 I appreciate that the money from sales of this book goes to support refugee groups. Stephanie Graegin's illustrations are poignant and stunning in this delightful tale of four woodland friends who help Santa deliver a dropped present. I was charmed by all of these characters, but especially the grouchy squirrel. 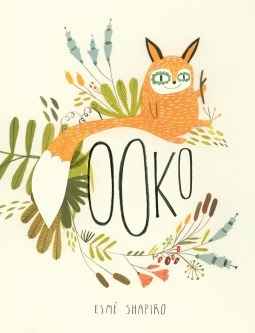 These beautiful illustrations and descriptive words capture a beautiful world of love and nature. The relationship between the child and grandfather is sublime. Unfortunately, the poetry didn't quite work for me. This is a delightful book about friendship and being who you are meant to be. The illustrations are charming. I am infatuated by anything these two artists create. At first I was kind of creeped out by this idea of trying to be someone or something you are not, in order to form a relationship with someone. Thankfully Sylvie, the bird fanatic, recognizes our hero for who he really is and loves him anyway. I think, perhaps, this is what good relationships are all about. This book is just delightful! 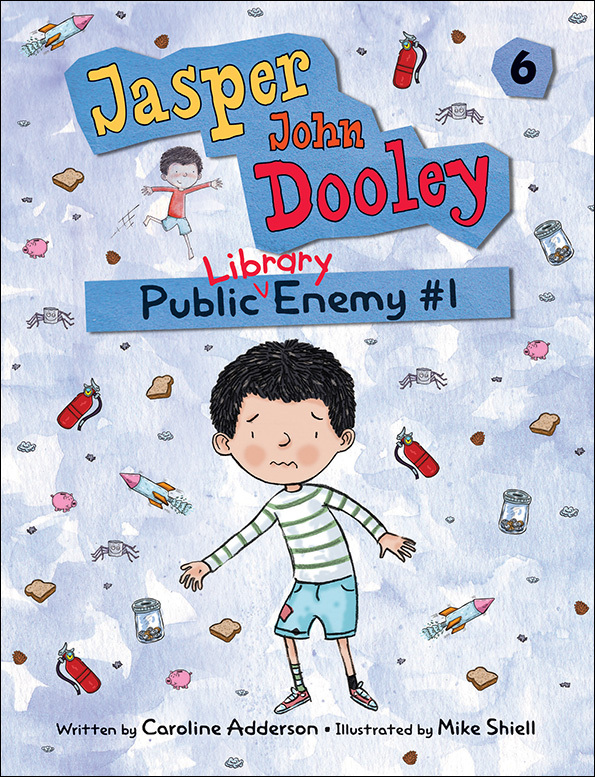 Jasper is devastated when, with the help of his father, he accidentally kills his library book. He's terrified to go back to the library even though he really wants to read to Molly, the dog. Before it is all over, there is a toast stand, a pet reading party, and lots of sweet humour and delightful surprises. 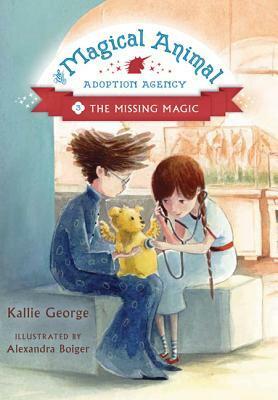 I was enchanted by this little chapter book about a girl who volunteers in a magic pet adoption agency. Clover does something she shouldn't, and this action causes near disaster for all the magical animals and people. To resolve the problem she has to learn to work collaboratively with Oliver, a fellow volunteer. This is a solid short novel for readers moving beyond chapter books. Multidimensional characters deal authentically with friendship issues. There is enough tension and action to keep readers engaged. I really liked how supportive the adults are and that even the troubled kid seems to find a redemption of sorts. Now I'll have to go and read the first in this series. This was an ok read. It reminded me of Mrs Frisby and the Rats of NIMH, but with less depth. Still, I think some younger readers will find it interesting, and perhaps could be persuaded to read the classic tale afterwards. Here is a sample of the audiobook. This is the first in a series about a young girl who is 'chosen' by a magical crystal to be its guardian. The crystal takes her through time and space to help people who need it. 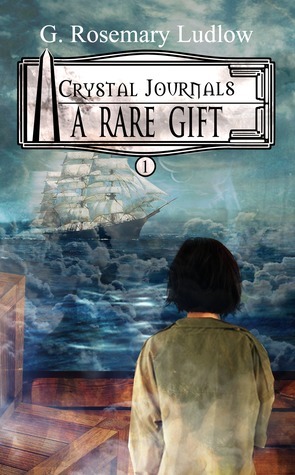 At first Susan is very unhappy with this responsibility, but by the end of her first adventure, aiding a young orphaned boy on an immigrant ship on it's way to New York, she has accepted and even appreciates the challenge of the crystal. Ludlow integrates historical detail seamlessly in this novel. 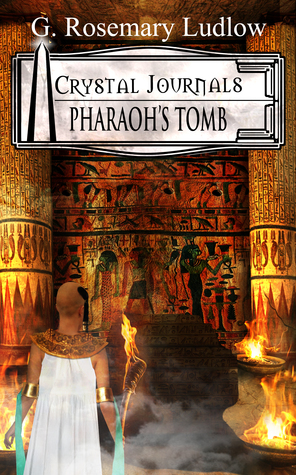 In this book Susan travels back in time to ancient Egypt and the creation of the crystals. She is adopted by an evil magician. Eventually, she makes friends with the grand vizier's son, but is instantly despised by Neferure, daughter of the ruler. I appreciate Ludlow's ability to entertain and educate me about many aspects of life at that time. The book has plenty of action and suspense. I want this to be 3.5 stars. 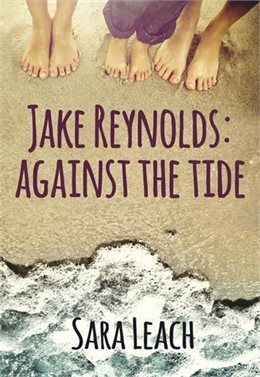 It might have been more except that I had a hard time dealing with a plot that posits a young female character in conflict with other female characters, especially when the reason is jealousy over a boy. I wanted to like this more than I actually did. I appreciate the diverse cast of characters. Two girls, Samantha, a Chinese American, and Annamae, a runaway slave, pose as boys as they flee across America on the Oregon Trail. Along the way they connect up with a crew of three cowboys. There is just a bit of romance that will appeal to older readers. I acknowledge that as a Canadian, I am woefully ignorant about the Oregon Trail. Still it bothered me was that there were so few mentions of the indigenous people who inhabited the country they crossed. It reads as though the group are travelling across empty landscapes. There are a few mentions of bow and arrows being acquired from different people, but the people themselves are profoundly missing. I had a hard time with this book. It felt too much like Lord of the Flies, a book I hated when I had to read it in high school, a very very long time ago. I tried to ignore, and even skipped over some of the more intense violent bullying episodes. Eventually though, somewhere in there I was hooked on the story and couldn't stop reading. Nothing compares to a brilliantly written middle grade novel! This is one of them. Sloan writes beautiful characters, puts them in situations where we get to watch them grow and mature, all the while making us fall in love with them. I adore this diverse collection of actors working on a theater production of The Wizard of Oz. I especially appreciate that the author shows us how important the arts are in our lives. OMG! Swooooon. This book is so beautiful I had to keep writing down quotes from it. It takes place in one day in New York City. 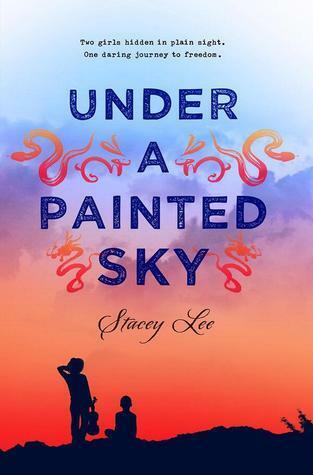 A young man of Korean ancestry and a young Jamaican girl whose family is about to be deported meet and fall in love. This is one of those books that you don't want to miss. I've come to the conclusion that if Nicola Yoon writes it, I'll read it. "God is the connection of the very best parts of us." I'm currently listening to Norse Mythology by Neil Gaiman. I've started a library book, The Left Handed Fate by Kate Millford, and Everyday Hero by Kathleen Cherry, a Chocolate Lily candidate. I've got another audiobook on the go, but I've forgotten about it. I think I have a netgalley title I should be attending to also. 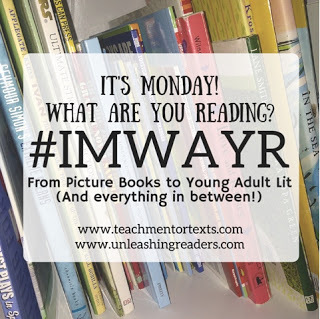 I'm digging into the box of Chocolate Lily contenders and plan to read Root Beer Candy and other Miracles by Shari Green as well as at least 2 others from there. There are two titles by Becky Citra, one of my favourite BC authors, in the box, but I'm saving those for when I need a special reading treat. Looks like our novel reading had a lot of similarities. Like you I loved Short! Wow. And Scar Island was not my favourite. Too gruesome for me. 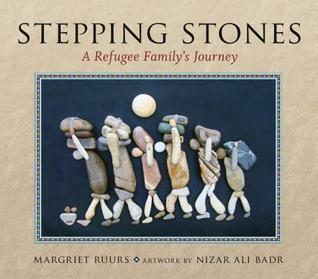 Stepping Stones and the Day I Became a Bird are both favourites of mine. I ended up buying them both for my classroom. That quilt! Just amazing. Look at your reading progress! You are doing so well on your overall reading! I've kind of fallen off my indigenous reading goal, but as soon as this Chocolate Lily thing is done, I want to get back to that! That quilt square is pretty amazing. I definitely need to get my hands on Short and The Sun is Also a Star. I had a similar reaction to Scar Island. The other books are new to me. Thank you for posting them. You are welcome and thanks for the quilt appreciation. So many books, and so many Canadian books at that! I'm sure I went for years without picking up a single Canadian book, which is pretty sad, but now that I read a lot more children's lit for work I keep discovering amazing Canadian titles! 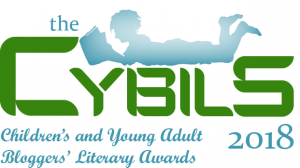 I'm sure we've got great adult lit too, but wow, we're really killing it in the kidslit world! And to be honest, much of my understanding of the Oregon Trail comes from playing the computer game of the same name in the early '90s...so there's quite a gap in my knowledge! Ha ha ha! I didn't even play the Oregon Trail computer game! I agree, there is so much amazing literature coming from Canada. 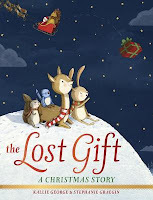 There are some interesting picture books on your list. 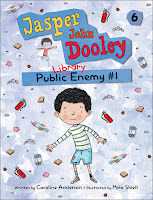 I've never read Jasper John Dooley, but it looks like a great series for my transitional readers. Short was great! Jasper is adorable Lisa. I think it's perfect for those readers. You have some interesting books listed here - some familiar, some new to me and books to look for. 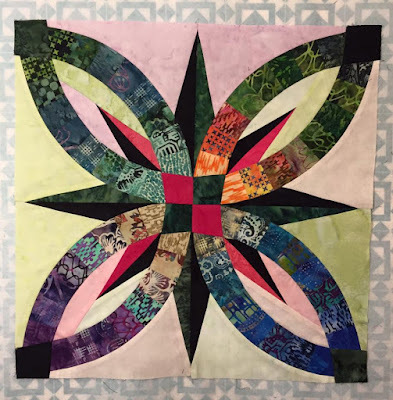 Your quilt square is really beautiful and should be stunning when finished. Thanks Alex. I hope the quilt isn't garish by the time it's done. Wow, Cheriee, the quilt looks marvelous! So many books, hard to choose which ones to note! 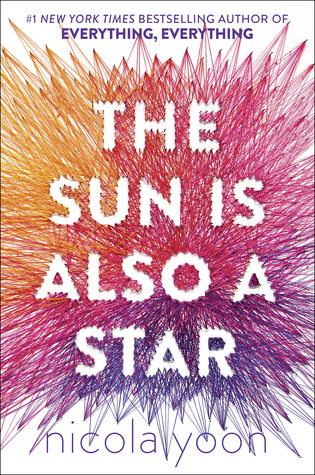 I need to read The Sun Is Also A Star. So many of you have raved about it. Also Short! 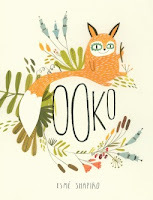 I liked Ooko, will find In The Red Canoe. Thanks for all you shared! 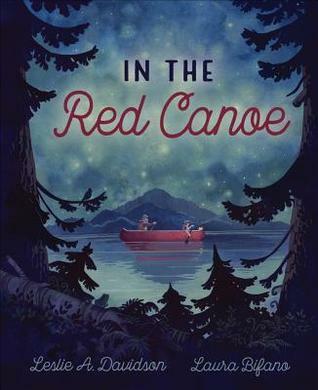 The Red Canoe is so special Linda. It is the kind of book that reflects on the kind of grandparent I hope to be. I had the same initial feelings about Scar Island, but wound up getting caught up in the story. But, my sixth graders love it - and that's what counts. It is indeed. It was when I realized it wasn't going to be Lord of The Flies that I was able to let go and embrace the story. 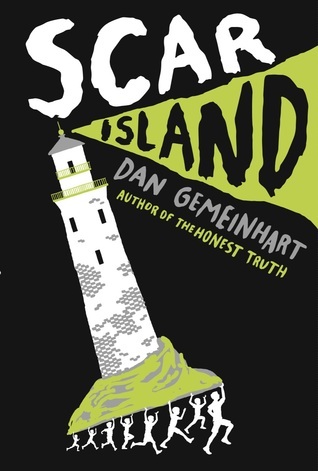 I enjoyed reading Scar Island and I'm pretty sure my students would like it, too. You've got several books, that I still need to read. Can't wait for Spring Break! Have a great week! Happy reading over your break Jana. 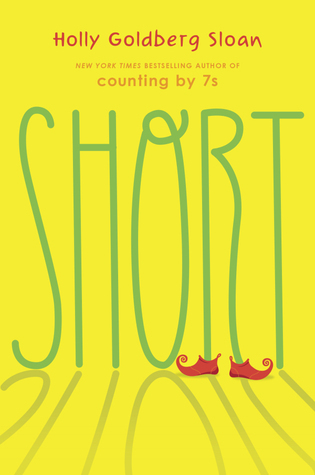 Looking forward to reading Short! Short is the best! I wouldn't push myself to read Scar Island, unless you like that kind of book. I'm nearing the end of Norse Mythology, and am now only listening for short spaces of time in order to make it last. Wonderful reviews - and several of them are leading me to my bookstore, particularly the picture books, probably because my own illustrated children's book is being released on April 15! I wonder if you'd review it sometime? BIRDS of PARADISE by Pamela S. Wight. By the way, your quilt is incredible. What a gorgeous quilt square! I'm glad your cousin is out of the hospital. I also loved The Sun is Also a Star. It was one that lifted my spirits and made me smile. I love seeing a title I've read on your list and agreeing with your thoughts! 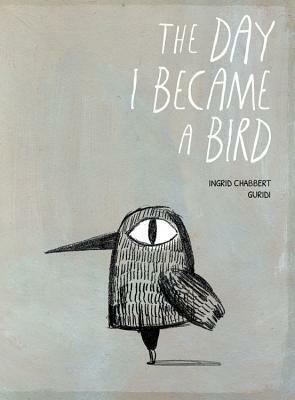 Can't wait to read The Day I Became a Bird.